Our product range includes a wide range of pet preform, pet preform coloured, pet preform 100 gm-145 gm and pet preform coloured for fridge bottle. 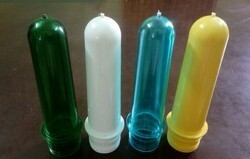 With the extensive knowledge and experience in this respective domain, we are engaged in offering Plastic Pet Preform. The offered pet preform is manufactured using excellent quality material and cutting edge technology in conformity with set standards. Our offered pet preform is checked on various parameters under the guidance of our experienced professionals. Keeping in mind the diverse requirements of our customers, we provide this pet preform in different sizes and specifications. Gram Available : 35 gmshort neck, 43gm short neck, 40,45,50,55,60,65 gm with normal neck. Neck size - 46 MM. We are offering a wide range PET PREFORMS. Our range can resist and are available in various capacity ranges, colors and sizes. These are appreciated for its attractive looks and perfect finishing. Our product can be availed as per the requirement of the client . 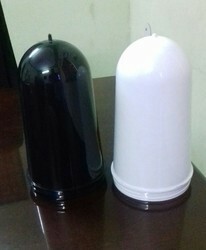 For Tofee Jar, Candy Jar. Made by Reliance food grade Pet Resin. We are offering a wide RANGE FOR PET PREFORMS. Our range can resist and are available in various capacity ranges, colors and sizes. These are appreciated for its attractive looks and perfect finishing. Our product can be availed as per the requirement of the client . Supported by experienced professionals, we are offering Pet Preform. 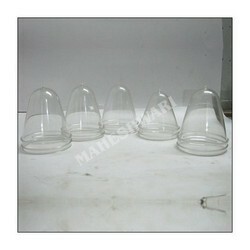 Our offered pet preform is intricately designed from top quality material keeping in mind the latest market trends. This pet preform is accessible in multitude of sizes, shapes & customized options in accordance with the needs of customers. The offered pet preform is comes in quality packing in order to ensure its defect free range while transit. Backed by the team of experienced designers we are providing an excellent range of Clear Pet Preform. Our provided pet preform is manufactured by adept personnel to ensure to design this range in strict adherence with set industry standards. 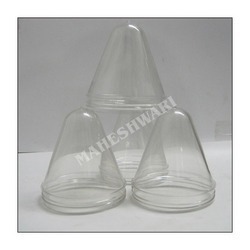 The offered pet preform is available in different sizes and specifications, as per emerging demands of our clients. Apart from this our customers can avail this pet preform from us at nominal rates. Fridge bottles pet Preform. Neck dia 46 mm and 45 gm and 55 gm we have. Food grade Plastic.